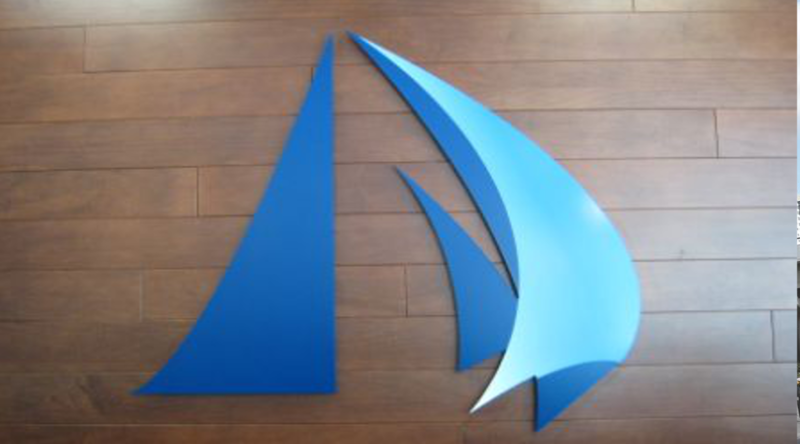 Creative Sign Designs is proud to be a local business and in that, support other local and upcoming businesses. 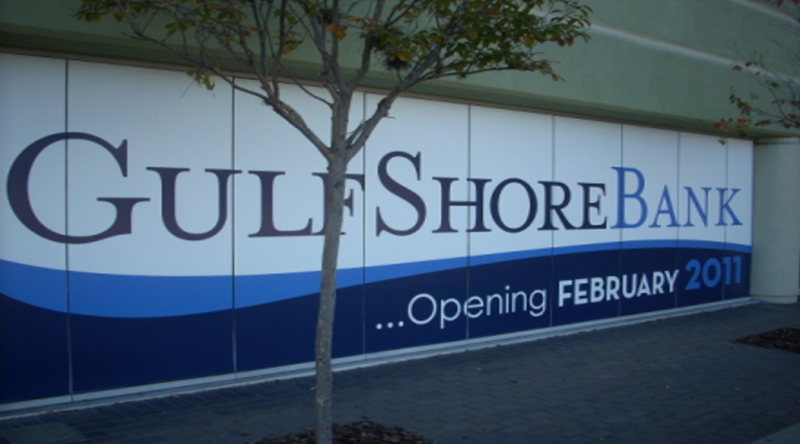 Developing a sign package for a new corporate office is only one of the many details a owner has to decide on before a grand opening. 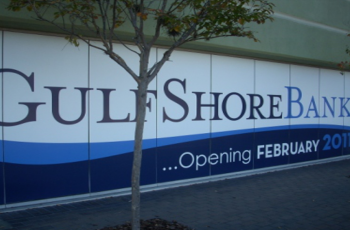 For that same reason, Gulfshore Bank decided to go with Creative’s team of turnkey-signage experts – so no detail would be missed. 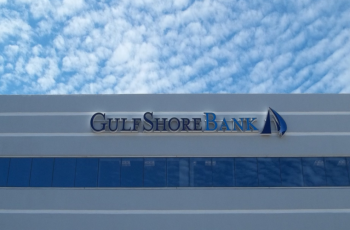 When Joe Caballero, CEO, and Ed O’Carroll, COO, of GulfShore Bank, decided to open a new corporate headquarters in Florida, a complete one-stop signage shop was just as important as the headquarters location. 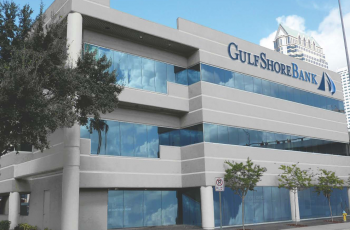 The bank’s new 15,000 square-foot office in downtown Tampa – just across the street from the St. Pete Times Forum – is recognized for its contemporary sleek design. 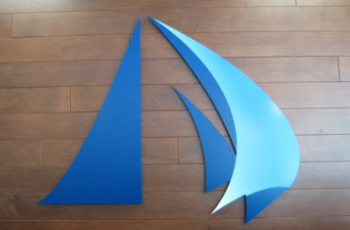 Creative Sign Designs fabricated and installed custom office signs and the finishing touches to the modernized building. 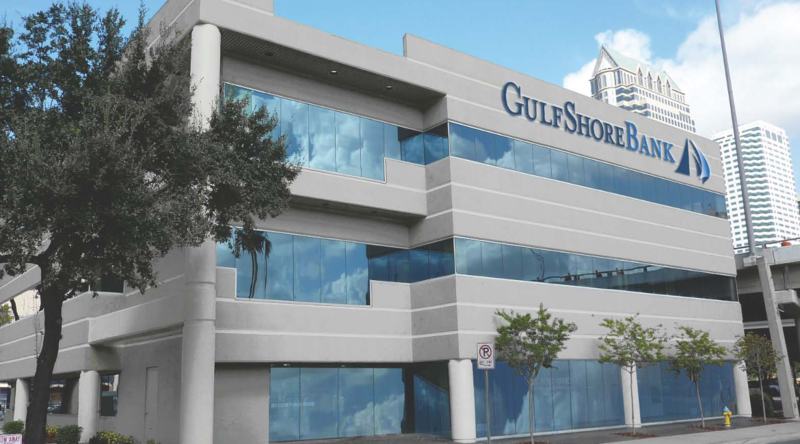 Creative’s team surveyed three possible sites before GulfShore determined the prime location for its second Florida location. 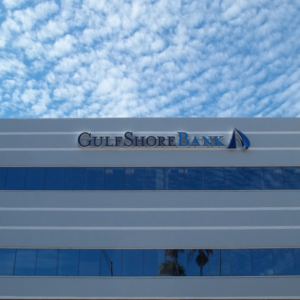 GulfShore Bank’s new offices include retail banking space on the first floor and 12,000 square-feet of corporate office space on the third floor. 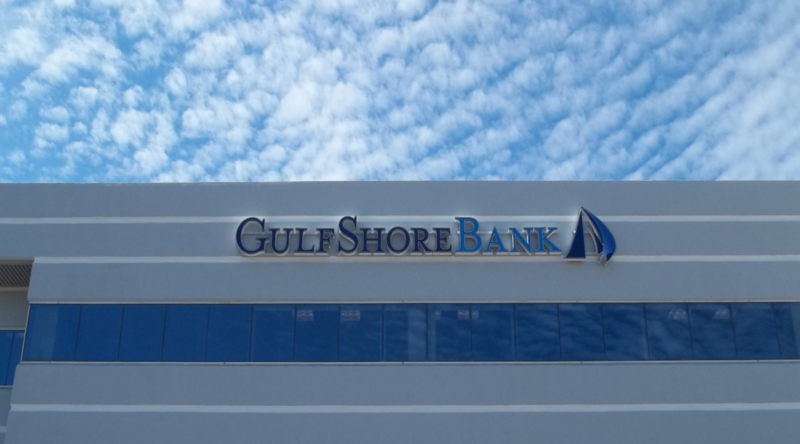 The Creative team covered 117 feet of interior windows with etched graphics to ensure all three conference rooms remain attractively private, fabricated and installed custom metal letters in the main conference room, installed the bank’s custom logo throughout the three-story building and installed two sets of custom, channel letters on the exterior. Finally, Creative covered all 18 full-length windows with custom window graphics to make certain the interior design and development remained a secret until the building’s grand opening. 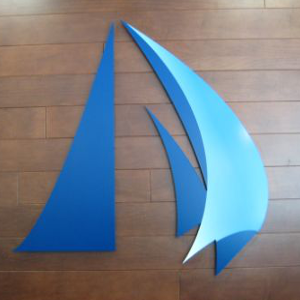 Creative’s team worked diligently on this project to ensure everything the client expected was met and looks forward to developing similar solutions for other corporate offices.